The Committee will be meeting to discuss the MS-4 stormwater permit requirements. Town Hall will be open on Saturday, December 22nd from 9am-12pm for Transfer Station sticker sales. Please bring in your current registration and the fee of $10.00. Town Hall will be open on Saturday, December 15th from 9am-12pm for Transfer Station sticker sales. Please bring in your current registration and the fee of $10.00. Town Hall will open at 11. The Transfer Station is open until noon. The meeting with the NH Department of Transportation regarding safety concerns on Route 4 has been postponed until February 5th. The above stated meeting starts at 7:00pm and is held in the conference room of the Town Hall. The School Board Meeting scheduled for tonight will be held NEXT THURSDAY, March 23, 2017 at 7PM. The agenda will remain the same. 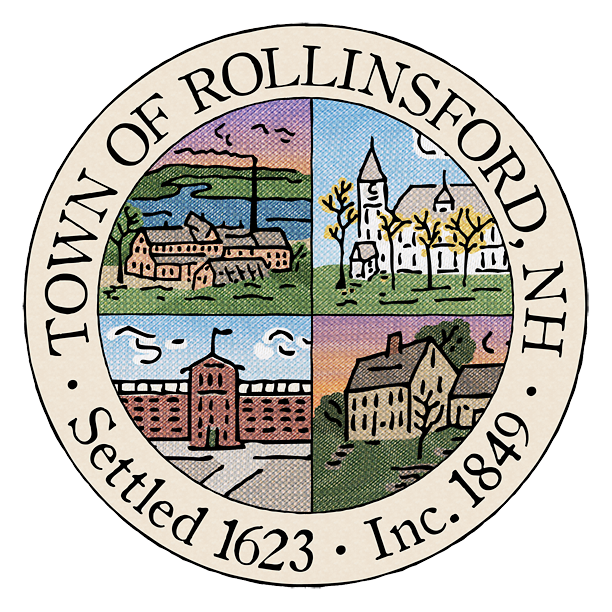 The Rollinsford School District is seeking a clerk. Duty description and additional information can be found here. Residents must have a 2017 Transfer Station sticker by 2.1.17. After that date, those without current year stickers will be turned away without exception. Transfer station stickers are available for purchase at the Town Hall during regular business hours. The cost is 10.00 for the first sticker and $5.00 for each additional sticker. Residents must present vehicle registration(s) in order for the Town Clerk to properly assign the sticker(s).